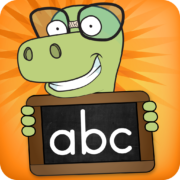 Afrikaans ABC is an educational app for young children that teaches the alphabet using child-friendly characters from the animal kingdom. Xander, the lovable narrator, guides your child through six learn-through-play activities involving vision, hearing and touch to teach them to read and write in Afrikaans. Xander Beroepe is an Afrikaans educational app teaching young children about occupations through healthy technology. Children enjoy playing this interactive spin-n-match game while gaining a better understanding of various careers and expanding their vocabulary. Afrikaans Klerekas is an educational app for young children that teaches them the names (and pronunciation) for different body parts, clothing and weather. After consolidating the terminology it concludes with a fun game that provides hours of entertainment. The app is highly sensorial as it engages hearing, vision and touch. It further encourages the development of fine motor skills, language ability and critical reasoning. 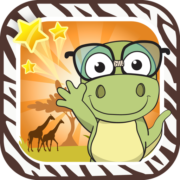 Xander Safari is an Afrikaans educational app for children aged between 2 and 5, that teaches children how to name an identify some of the many wild and wonderful creatures they might see on an African safari. 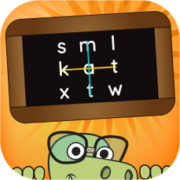 Xander Afrikaans Spel for Beginners is an educational app for young children to practice prescribed spelling lists and sight words for Grade 1 and 2 as used by the annual national spelling competition organized by the University of Stellenbosch. The competition is based on the format used in America for the Spelling Bee competition. 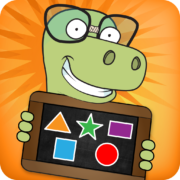 This app uses curriculum based phonetic sounds for spelling and is interactive, fun and user-friendly. 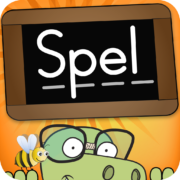 Xander Intermediate Spelling is an educational app for children to practice prescribed spelling lists and sight words for Grade 3, 4, 5, 6 & 7 as used by the annual national spelling competition organized by the University of Stellenbosch. The competition is based on the format used in America for the Spelling Bee competition. 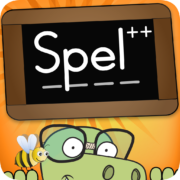 This app uses curriculum based spelling lists and sight words per grade and is interactive, fun and user-friendly. Xander Advanced Spelling is an educational app for children to practice prescribed spelling lists and sight words for Grade 8, 9 & 10 as used by the annual national spelling competition organised by the University of Stellenbosch. The competition is based on the format used in America for the Spelling Bee competition. 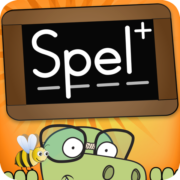 This app uses curriculum based spelling lists and sight words per grade and is interactive, fun and user-friendly. 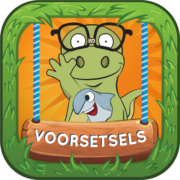 Xander Afrikaans Voorsetsels is an educational app for young children to learn about prepositions through healthy technology. Children are introduced to terms and visible placement features after being presented with the meaning of prepositions. Afrikaans Vorms en Kleure is an educational app for your children that teaches six basic shapes and the primary and secondary colours using age appropriate games. Xander, the lovable narrator, guides your child through six learn-through-play activities involving vision, hearing and touch to teach them to identify shapes and colours. Woord Bou is a new addition to the award-winning library of Xander Apps. Woord Bou was designed in collaboration with the University of Stellenbosch to introduce literacy and early learning through age-appropriate word-building games that kids enjoy. 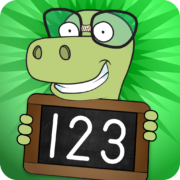 English 123 is an educational app for young children that teaches numeracy using child-friendly counting beads and characters from the animal kingdom. Xander, the lovable narrator, guides your child through four learn-through-play activities involving vision, hearing and touch to teach them how to count to 10 in English. 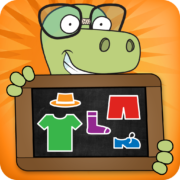 Xander Prepositions is an educational app for young children to learn about prepositions through healthy technology. Children are introduced to terms and visible placement features after being presented with the meaning of prepositions. Through an interactive and highly entertaining hide-and-seek game with Xander and friends, your child with be able to use prepositions with more confidence.